These Centennial, CO homeowners decided to go from a boring, dull brown roof to a stunning "Antique Silver" roof. The roof is also Impact Resistant from hail thanks to the manufacturer, Owens Corning, and our amazing roof installers. The Midnight Black Marlarkey shingle creates a modern look for this home in Centennial, CO. The high profile ridge and ridgevent combine to give this home a high end look. This home in Centennial, CO has been completely transformed after the new roof installation with hail resistant shingles in Estate Grey. The new siding and garage door work add a whole new element as well. As you can imagine, the homeowner was beyond pleased with the results. Had a hail storm several years ago and my insx company mentioned others in the area had filed claims. It's been a while, but would like to ensure my roof does not have any issue. Either certify it's good, or make recommendations on repair/replace with cost to do so. Roof is asphalt shingle and was installed in 2011. I need to add gable vents to my attic. I only have roof vents so the air is just sitting in the attic on my 2-story home. I have two bathroom fans on my second floor that are venting into the attic. I would like a quote to have them vented out through the roof. My attic is missing soffit vents. I'd like to have some installed. Is this a service you provide? Thank you, Tom Wilkinson..
Craig Hume was very responsive to my questions and concerns during the install. "Exex is a quality company, employs professional people, who..."
If your roof has suffered damage in a storm or has worn down over time, don't rely on an amateur to resolve the problem. Exceptional Exteriors LLC has over 15 years of experience providing long-lasting solutions for all kinds of roofing problems. Working with products from the industry's brightest manufacturers, our roof repair and replacement services are designed to give you a roof that looks and performs better than you expect. Our customer-centered focus leads us to success. Roofing problems won't go away, so don't hesitate to get started on your repair project. Call or contact Exceptional Exteriors LLC online to schedule a free estimate! 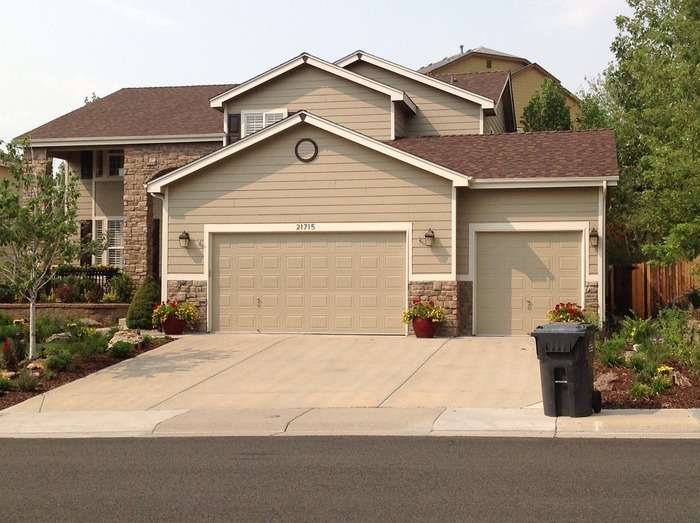 We serve homeowners in Centennial, CO and areas nearby. This amazing Centennial home now has a hail resistant roof with the Owens Corning shingles we installed.